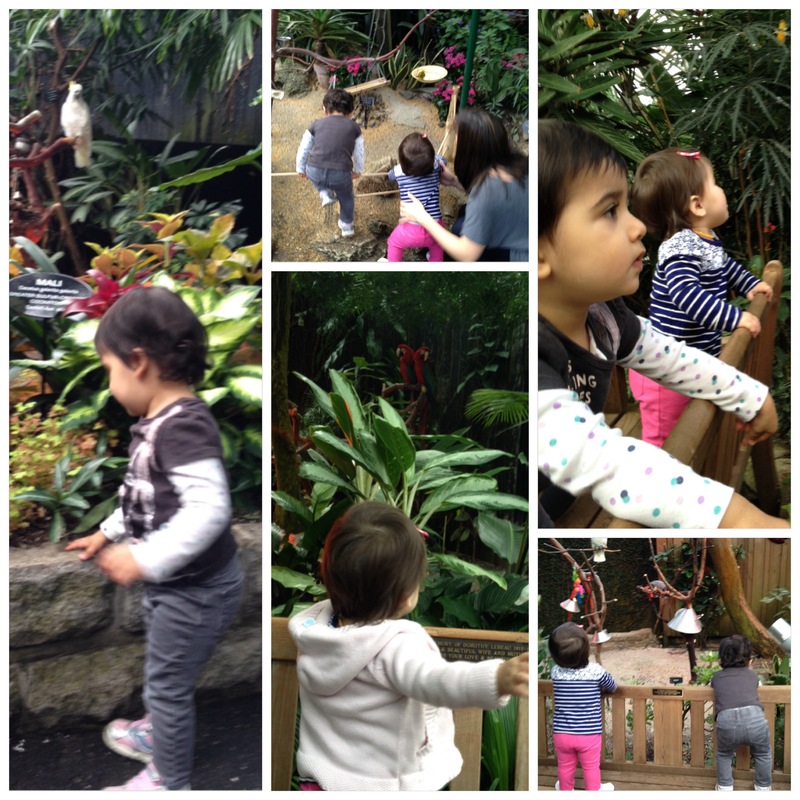 We visited the Bloedel Conservatory with my girlfriend and her daughter, J, who just turned one!! We had used this outing as a way to enrich R’s study of plants that she had been doing during the week we had visited. “Field Trips” are a necessary addition to all learning experiences as they provide real-life experiences for concepts taught at home or at school. We were in the perfect location for doing exactly that. There are tons of beautiful plants, flowers, bushes and trees in this mini tropical enclosure, plus a great variety of gorgeous parrots and other birds and butterflies. The girls really enjoyed watching the birds and gently touching the leaves. Usually, R is copying her older friends, so it was wonderful to watch J imitate R when she would say hi to the birds. We only had time to visit the conservatory at the top of Queen Elizabeth Park, but the grounds of the park are just stunning. The great thing about the grounds is that all areas are accessible by stroller, despite their being tons of staircases to ascend and descend the park.